Based on Vound’s Intella technology, E-Hounds Review® is a robust litigation review platform that’s cost effective, and simple to use. Ask your case manager for more details. Upload files or folders to our secure, in house evidence server. *Up to 30GB per transfer. Sample court orders, discovery requests, protocols and more! Established in 1993 by Adam Sharp as a Data Recovery Lab, E-Hounds services were a logical evolution. E-Hounds has been featured in a number of high profile cases over the past several years. We are in constant communication with other Computer Forensic Professionals and Law Enforcement throughout the United States. This, in addition to constant professional development, continuing education and other resources allows E-Hounds to access the latest techniques in computer forensics, data hiding, stegonography and encryption, as well as data tracking and recovery. E-Hounds owns and maintains a 4200 square foot Secure facility located in Clearwater Florida. 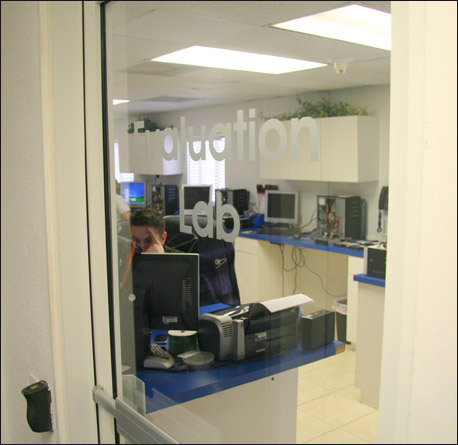 In addition to a large, Secured Class 1000 Clean Room, Evidence Lock-up Room and Vault, our Evidence Lab is stocked with proprietary tools and technology to further advance E-Hounds forensic abilities. A Conference Center, two large Evaluation Labs, and an Employee Lounge also help our often round-the-clock services. E-Hounds staff has an astoundingly wide field of expertise and experience. 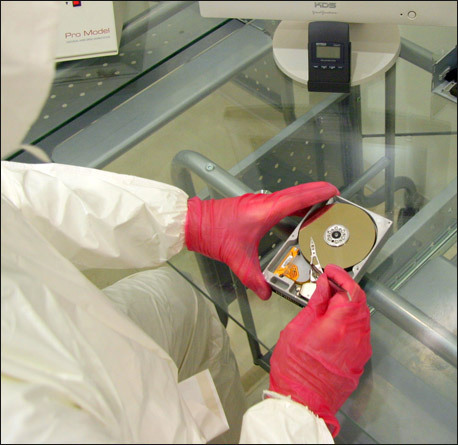 Educated in both Data Recovery and Computer Forensics, our engineers are capable of not only finding the data requested but maintaining the chain of evidence to ensure admissibility. Each engineer has at least 10 years of experience in advanced computer storage technology and at least 7 years of Data Recovery experience with certification and memberships to support both. These same engineers are available for Expert Witness testimony. CV’s are available upon request. © 2016 E-Hounds. All Rights Reserved.